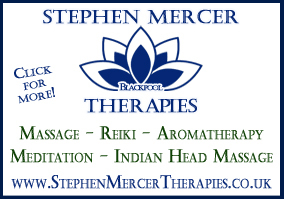 Supernatural Events presents amazing paranormal and psychic experiences in Blackpool and its surrounding areas including Ghost Walks, Ghost Hunts, Talks, Tours, The Ghost Tram and Psychic & Fright Nights. Book for one of our Ghost Tours at one of our fantastic locations and you will hear tales of ghostly sightings that will make the hairs stand up on the back of your neck and question all that you thought you believed! On our Ghost Hunts you will have the opportunity to investigate the hauntings for yourself! 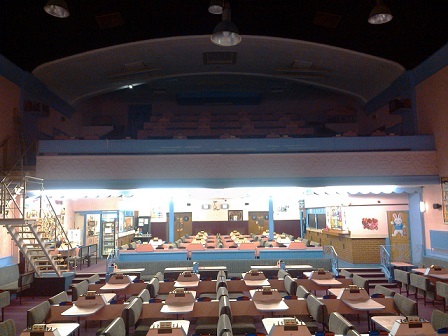 Events take place at locations including Blackpool Zoo, Viva Blackpool, Lytham Hall, The Regent, North Euston Hotel, The Horror Crypt, Lowther Pavilion and Raikes Hall as well as Lancaster Castle and Morecambe Winter Gardens. Check our Diary of Events page for details. "Supernatural Events organises some of the most thrilling and exhilarating ghost tours and investigations in the UK." 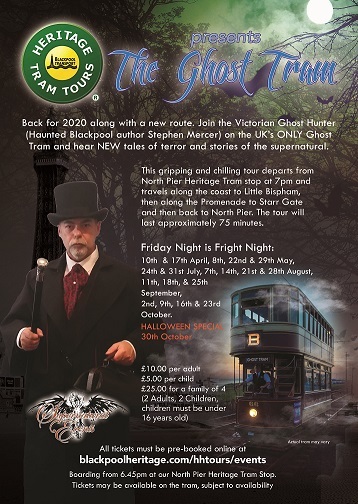 Are you brave enough to join The Victorian Ghost Hunter on one of his spooky strolls through Haunted Blackpool or to step aboard his ghost tram to journey across the Fylde Coast? 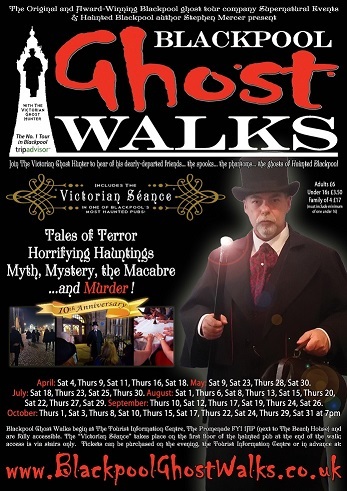 The 2019 dates for both Blackpool Ghost Walks (the "No. 1 Tour in Blackpool" (TripAdvisor) and The Ghost Tram have now been announced. For more details simply click on the links! Go on... be brave... dare you! It's eyes down on Friday 22 March when we go back to investigate The Empire. You will have the opportunity to investigate some of the strange goings-ons that have been reported including the shadow of a man and the dismal cries of a woman. Will you go into the cellars? 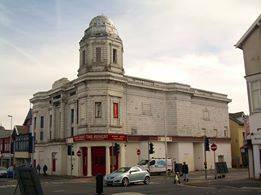 On Saturday 27 April we return to The Regent. On previous visits, our guests have seen figures on the balcony, heard whispering voices on the ground floor, felt like they were being pushed over and so much more! Will you join us? Go on... you know you want to! 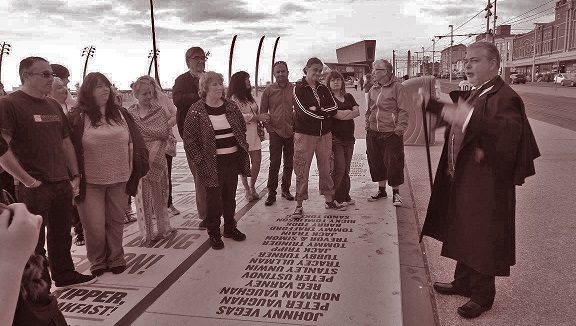 Visit our Diary page for details of other Supernatural Events, including Ghost Tours, Ghost Hunts, The Ghost Tram and of course our famous Blackpool Ghost Walks with tales of murder, mystery and the macabre! click HERE.